In sharp contrast to the strong support given to the military’s satellite navigation programs in the next fiscal year, Congress is considering cutting every GPS-related programs supported by the Department of Transportation (DoT). The Senate appropriations committee has approved language matching a House decision to slash $17 million from the $27 million requested for the civil contribution to the GPS program. If left unchanged, this would give the program the same $10 million it got this year and a good deal more than the $6 million allocated in FY14. Although the full Senate has yet to approve the appropriations bill, and undoubtedly a conference committee will be needed to work out differences, the up-front agreement on the numbers makes it unlikely that the cut will be restored. The money is supposed to pay for the additional monitoring that the Federal Aviation Administration (FAA) needs incorporated into the new GPS ground control system to support its programs. The FAA is depending on GPS for its Wide Area Augmentation System (WAAS) and NextGen programs, which the country is, in turn, depending on to manage the over-crowded skies expected in the future. The new cuts put DoT some $100 million behind in providing the funding it was obligated to send to the Defense Department, a shortfall that has had a real impact on the ability of military managers to complete the Next Generation Operational Control System (OCX) in an efficient manner. One could reasonably suggest that the reduction is the result of tough economic times. The money for this obligation, however, has been chopped for the last six years with the rollbacks starting before the current budget caps and the dark clouds of sequestration rolled in. The White House set up the split-funding approach to give DoT, which represents all federal agencies that provide GPS-related programs to civil constituencies, a greater voice in GPS program decisions. The department’s inability or unwillingness to defend the money effectively raises questions about DoT overall role. Now a solution, albeit a temporary one, may be coming from Congress. The Senate Armed Services Committee added language to its authorization bill to create a Council on Oversight of the Department of Defense Positioning, Navigation, and Timing Enterprise within the Department of Defense. 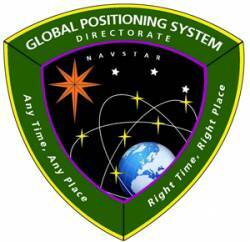 The group would have purview over the “positioning, navigation, and timing services provided to civil, commercial, scientific, and international users” as well as military programs. Among the tasks of this new council, if approved, is looking at the budget, and not necessarily just the defense budget, and reporting if there is a funding shortage. If the broadly-worded provision is taken to its fullest interpretation, the council may have the potential to secure a fix for the civil money shortfalls. The House and the Senate disagree on three other GPS-related activities, which get their money from larger accounts. The House would like to cut these accounts, but the Senate supports full funding. Both the Nationwide Differential GPS (NDGPS) program and the DoT’s Positioning, Navigation, and Timing (PNT) activities are funded by the Office of the Assistant Secretary for Research and Technology (OST-R). They share a budget line with alternative energy research and a number of other activities that, for example, help provide direction to operations such as the Volpe Center and the Bureau of Transportation Statistics. The Administration asked for a total of $14.6 million to support the OST-R, including $5.6 million for NDGPS and $1.6 million for PNT, which includes spectrum protection actvities. ThHouse would like to cut these accounts but the Senate supports full funding. Both the Nationwide Differential GPS (NDGPS) program and DoT’s Positioning, Navigation, and Timing (PNT) activities are funded by the Office of the Assistant Secretary for Research and Technology. They share a budget line with alternative energy research and a number of other activities that, for example, help provide direction to operations like the Volpe Center and the Bureau of Transportation Statistics. The Administration asked for a total of $14.6 million to support the office including $5.6 million for NDGPS and $1.6 million for PNT, which includes spectrum protection actvities. The House recommended $11.4 million, a cut of $3.2 million or 22 percent but did not suggest a breakdown. The Senate also suggested cuts to the account but they specifically chose to fund NDGPS and PNT fully. 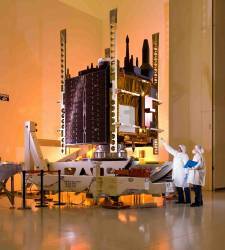 The House also wants to cut Alternative Positioning, Navigation, and Timing (APNT) though by how much is unclear. The activity is part of the NextGen’s separation management portfolio and, as with NDGPS and PNT, falls within a larger parent account. The House wants to cut the request for the parent account from $26.5 million to just $18.0 million. The Senate would not only fully fund the request, but give it a $5 million boost — likely ensuring full funding for APNT. APNT received $3.0 million in FY15. The request for FY14 was for $3.5 million according to the NCO; though cuts to the parent account and the consolidation of a number of activities into an omnibus funding bill make it difficult to determine the final allocation. Like the other DoT requests, the Wide Area Augmentation System will likely take a budgetary hit from lawmakers. The Senate is seeking a $15.4 million cut to the $107.2 million request and the House is proposing to trim $13.6 million. WAAS was funded at $98.6 million this year and $84 million in FY14 according to the NCO. The entire debate may be brought to a halt, however, if the White House and Congress cannot work out a way to address the spending caps. 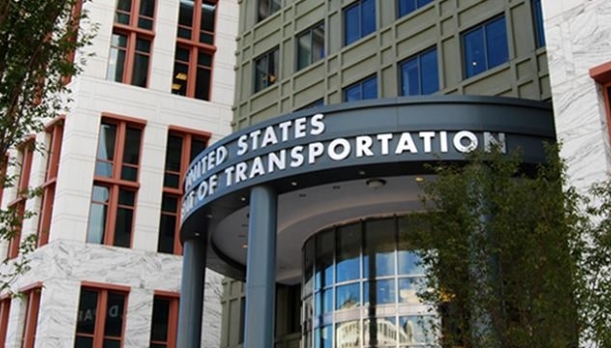 The Obama Administration issued a statement June 1 threatening to veto the transportation appropriation bill if a deal cannot be reached. With Congress set to leave soon for a four week August recess, and little hope for a resolution before that, budget experts are anticipating last minute action to keep the government from shutting down when the fiscal years ends on Sept. 30. If Congress has to approve yet another Continuing Resolution the current programs will likely continue at their present spending levels.